Miami, FL – The Miami FC 2 wasted no time in their quest for U.S. Open Cup redemption. The Hunt for Lamar began at Tropical Park Stadium. Yes, where Santa’s Enchanted Forest steals your money. This is where FC Miami City hosted the OB’s (Orange and Blues) in the play-in round of the tourney. The Kingfishers weren’t about to repeat sins of the past. 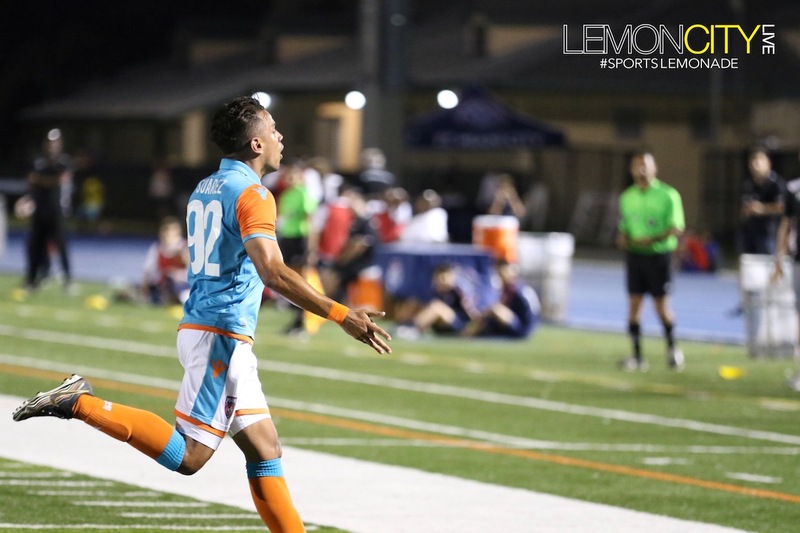 We all remember two years ago when Miami FC gave up two early goals to the Wilmington Hammerheads (Hi Jeff Michaud), and last year when Darwin Espinal put the South Florida Surf up 1-0 in the 20th minute. Third time’s a charm, I guess! In the 11th minute Kris Tyrpak received the ball wide on the left side. He made a move towards the box, drew out City’s goalkeeper, and crossed it to a wide-open (The Teflon) Don Smart, who slid in to give Miami FC the early lead. Just like that, the “Bad-Start Open Cup Curse” was broken. The 2nd half had more action. In the 55th minute, City equalized, but before I could tweet out something witty, Miami FC took the lead back. Dario Suarez, who was subbed in for Vincenzo Rennella at the half, and signed to the team just a couple of days before the match, ripped a shot from just inside the 18. Talk about making an immediate impact. The nail in the coffin for City came in the 1st minute of extra time. Michaud, instead of knocking Miami FC out of the Open Cup was instead sealing their advancement. The dude went on a bender from the top corner of the 18, leaving City’s keeper stuck in his tracks. The Promise from St. Thomas is well underway. Miami FC won their play-in game 3-1, striking first in a hard-fought match against a City squad that had something to prove. Next up, The Kingfishers face Red Force FC on Wednesday, May 9th at 7 PM, from FIU Soccer Stadium.